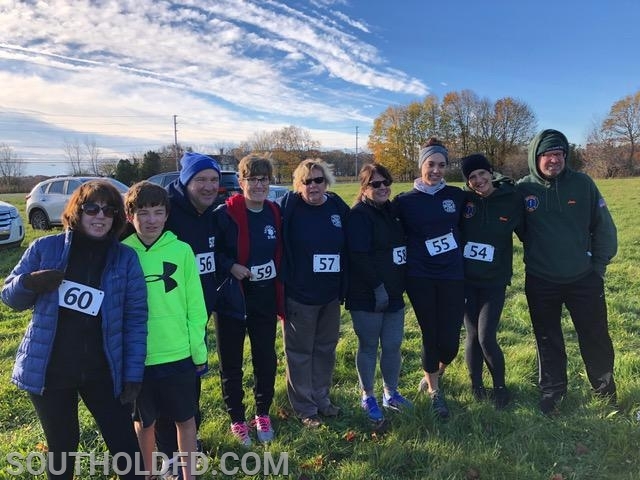 Members of the Southold Fire Department ran in the cold weather to help raise money for Cancer Research in memory of Ex. Chief Drew McCaffery of the Cutchogue FD who passed to cancer at the age of 41. Despite the weather, a good time was had by all and all in pursuit of a worthwhile cause.